Home / About Us / Allen E. Kaye, Esq. 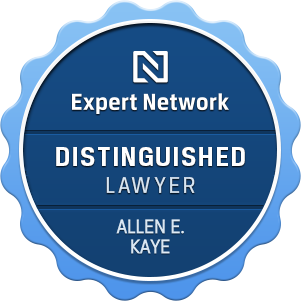 ALLEN E. KAYE is Of Counsel at Pollack, Pollack, Isaac & DeCicco, LLP. He graduated Phi Beta Kappa from Queens College of the City University of New York in 1961, obtained his law degree at Columbia Law School in 1964, and obtained his LLM (Master of Laws) degree at New York University Graduate School of Law in 1965. He is a nationally recognized lawyer in the field of U.S. Immigration and Naturalization law and is Past President of the American Immigration Lawyers Association. He works with individuals and employers to assist with visas, I-9 audits, and other immigration and naturalization issues. Mr. Kaye is frequently featured in publications such as Biz India, India Abroad, and many others. 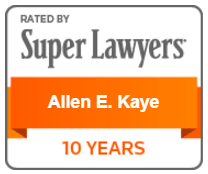 He has won the Super Lawyers® award every year since 2006 and was also listed in the 2019 Best Lawyers® by U.S. News & World Report – Best Lawyers®. The International Who’s Who of Business Lawyers.